I am privileged to be able to offer my many years of experience and my training with the NBPO (Dutch Organization for Professional Organizers) to others. I speak fluent English and Dutch and look forward to discussing your needs in the language in which you are most comfortable. No organizing solution is one-size-fits-all. You and your space are unique; we will work together to find solutions that work best for you. Choose a plan that works best for your project & budget. Schedule our first working session. An Hour and a half home walk-through session. I’ll present you with practical advice on how to reduce clutter, optimize storage, better arrange your space or efficiently manage your time. Stuck on how or where to start with a particular project? I’ll help you create and initiate an action plan. 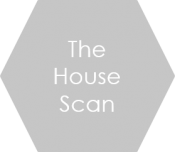 Receive a 5% discount on The Standard Package after booking a House Scan. Three hours of organizing in one session focused on a project of your choice. We’ll make a start together, I will share my insights and advice as we go along. You can then choose to book additional individual hours, purchase another package, or continue solo. Need a longer session? 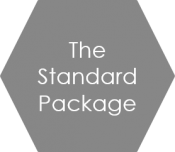 Extend a Standard Session for just €50 each additional hour. Introductory phone call to discuss & formalize your organizational needs. Nine hours of organizing over three individual sessions. Book and pay in advance for three sessions at a discounted price. Sessions can be booked anytime within a three-month period. Written practical advice and homework to maintain structure and order. Have a big project? I can customize a package that fits your project and budget. Not sure if any of the suggested plans work for you? Please contact me to discuss options suited to your specific needs. I also offer advice by phone or video chat for €20/half-hour. * I work in the regions around Haarlemmermeer and Amsterdam. Travel time to sessions up to 30 minutes (each way) is included. For longer travel times or travel distances farther than 15 km (each way) travel costs (@ € 0.19 per km) will be charged. As a member of the Dutch Association of Professional Organizers (NBPO) I use the Terms and Conditions and work according to their professional Code of Conduct.